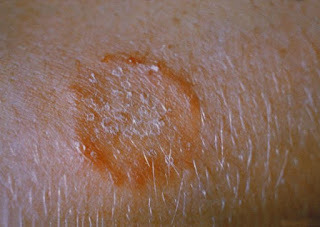 These two types of skin cancer, squamous and basal cell take time to develop. If you’ve used tanning beds in the past or spent too many summers in the sun as a child, you could be at risk. Skin cancer is also, almost always, treatable and even more so in the early stages. The longer you wait to have a suspicious area examined - and if it is skin cancer - the more involved the procedure might be. Squamous cell skin cancer tends to grow larger; is more invasive and can potentially spread to the lymph nodes and causes more discomfort than basal cell carcinoma. Researchers from the Mayo Clinic highlight the prevalence of the skin cancers from the years 2000 to 2010 that they compared to 1976-1984 and 1985-1992. Basal cell skin cancer increased in women age 3i0 to 49; squamous cell cancer is now more common in women 40-59 and 70-79. Men had a slight decline in squamous cell skin cancer from 2000 to 2010, according to the finding, published in Mayo Clinic Proceedings. Prior years studied showed the skin cancer had been on the rise. 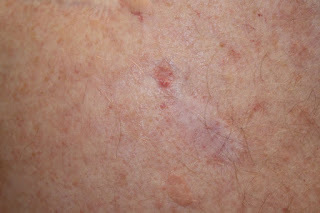 Men over age 29 also had the same increase in basal cell carcinoma as the previous periods. Information about the importance of sunscreen has been available for years, but Baum said tanning beds emerged in the 1980’s and “tanning…. was a common activity for many years” in tanning beds and out of doors. The message Baum wants to share is that sunburn and UV exposure damage occurs over time. Maybe you’ve been faithful about avoiding sunburn and wearing your sunscreen for the past few years, but “eventually those blistering sunburns of your youth and hot, reddened skin, and peeling shoulders of your adulthood can add up to one or more skin cancers,” Baum said. Another finding from the study is that skin cancer is becoming more common on the head and neck. The new study finds more people being diagnosed with basal cell tumors on the torso and squamous cell skin cancer on the arms and legs. Sunbathers live longer, but why?